These ladies bring exceptional talent and are renowned in the dental field themselves - handpicked by our Durham dentists. Staying educated on the newest technologies and the best methods to keep our patients healthy. Making sure our office is well known for its tender care and honest staff. Going great lengths to make every moment count at your appointment. Providing excellence during every patient’s experience. Creating a comfortable, fun environment for each of our patients and guests. Supporting our Durham dentists in delivering the best dental care available. They've been cross-trained in every aspect of the business office to better assist you with your scheduling and financial needs. 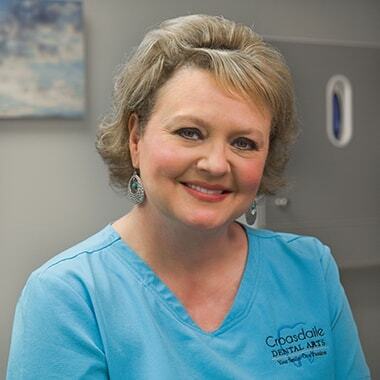 Christi joined Croasdaile Dental Arts in 2007 as their Practice Administrator. She has been in the dental profession since 1989. Her expertise is largely derived from her education in Business Administration and from her years with a group practice in Greenville, NC as well as a medical practice in Rockport, ME. She has worked in multiple areas of the dental profession ranging from dental assisting, business administration, practice management, consulting, and marketing. In her spare time, she enjoys traveling with her husband to any southwest destination. In addition, she enjoys the many cultural and sporting events the area has to offer. 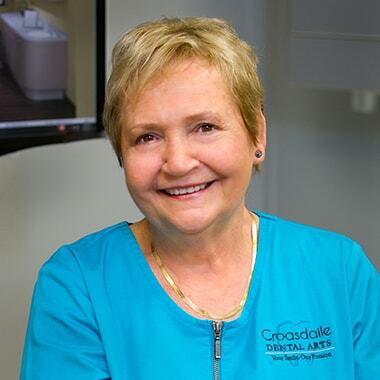 Kim C. has been working with the Croasdaile Dental Arts team since 1987. What started as a part-time job after school led to such a fulfilling career. She assists in multiple areas of the business office. When she is away from the practice she spends time with her daughter, family, and friends. 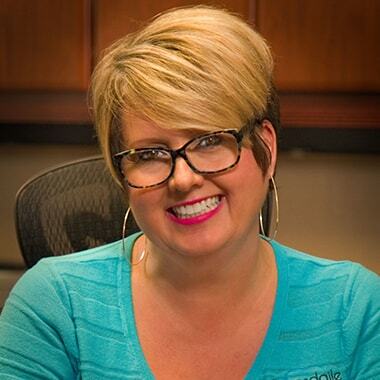 Kim D. graduated in 1987 from the Dental Assisting program at Alamance Community College. 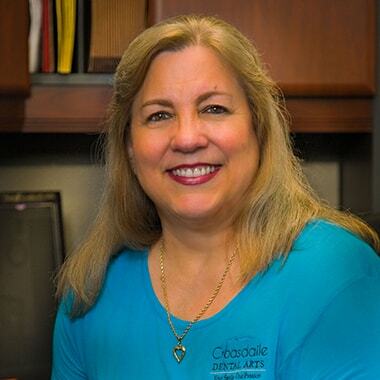 She has been with Croasdaile Dental Arts since 1987, starting out as a dental assistant and later transitioning to our Financial Coordinator. She continues to fill in as a dental assistant from time to time during staff vacations. Her vast array of knowledge and expertise in both the clinical and business areas prove to be a great benefit to our patients when discussing treatment and financial options. Outside of the practice, she enjoys traveling and spending time with her husband, children, and grandchildren. Ella is one of the friendly smiles you meet in our front office. She joined our practice in 2017, but she is not a newbie to the dental field. 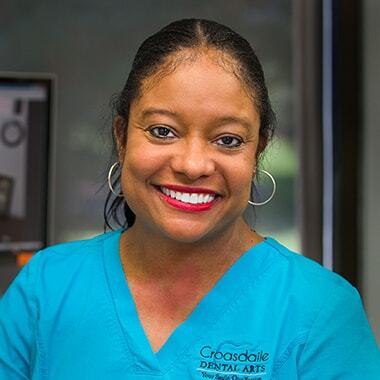 She graduated from UNC-Chapel Hill School of Dentistry Assistant program in 2006 and had been working as a dental assistant in the Durham area for 11 years. She originally came to us in 2016 temporarily dental assisting during our staff vacations. She instantly won the confidence of our staff and patients. When a position in our front office came available; we instantly knew she would be a perfect fit. Having achieved a solid foundation of knowledge and experience in her dental assisting career it was an easy transition to the administrative role. She can discuss treatment and account questions with ease and confidence while creating a trust based relationship with every patient encounter. In her spare time, you can find her riding her horse or spending time with her husband and two dogs. Angel is one of the friendly faces in our front office. Angel joined our practice in November 2017. Her previous dental and administrative expertise has easily allowed her to grasp the ever-changing and demanding duties of our busy practice. She has a warm and calming personality. She is a patient’s biggest advocate and nothing brings her more joy than knowing someone felt special in our practice. Angel is also fluent in Spanish, with a functional knowledge of French. Prior to joining our practice, she had used those skills as an interpreter with the Durham Public Schools. This has quickly become a valuable asset in our practice. Being a lifelong resident of the area, she lives in Rougemont with her family and an assortment of pets. In her spare time, she enjoys honing her Spanish language skills, crocheting, and watching super-hero movies. They deliver the highest quality of Durham dental hygiene procedures and patient education to ensure you achieve and maintain optimal oral health. 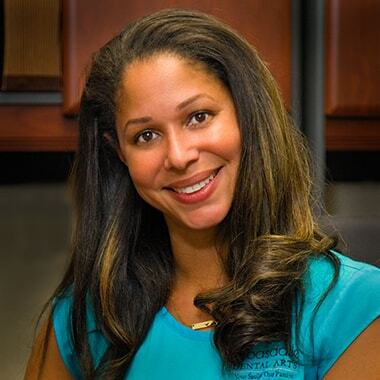 Angela graduated from UNC Chapel Hill Dental Hygiene program in 2000. 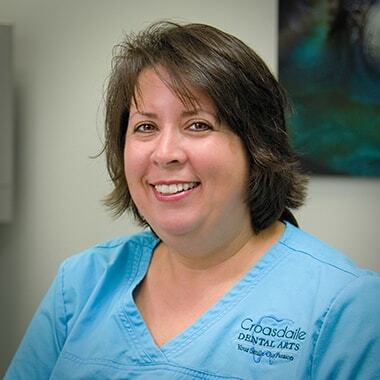 Angela has been working with Croasdaile Dental Arts since 1998. She started out in our business office and returned to our practice after receiving her dental hygiene license. Angela has a true passion for dentistry which is reflected throughout every day with each patient. Outside of the office she enjoys time spent with her husband and two children. Beth graduated from UNC Chapel Hill’s Dental Hygiene program in 1990. After she passed the North Carolina State Boards and received her license to practice as a Registered Dental Hygienist, she was immediately employed with our practice. Beth continues to remain current with dental technology and specific courses related to dental hygiene. Her years of experience and knowledge in the profession are a tremendous asset to our practice. Before Gisela went to dental hygiene school, she had been employed as a dental assistant for eight years. 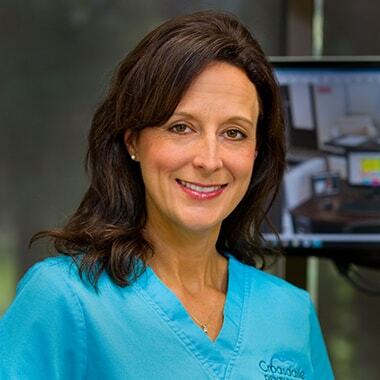 Upon graduation from the Dental Hygiene program at Guilford Community College, she was employed with a General Practice, as well as a Periodontal Practice where she worked for ten years before coming to our practice. She was a member of the ADHA and NCDHA where she has served as a President and Trustee. She spends her free time enjoying her two grandsons, reading mysteries, and baking. 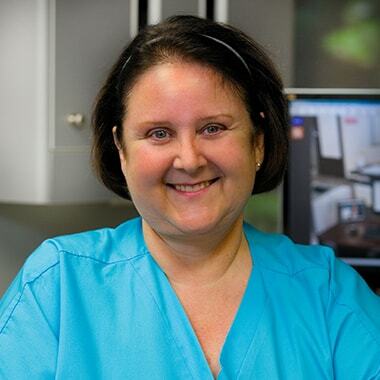 Mary is a dental hygienist with a significant amount of years in the dental hygiene field. 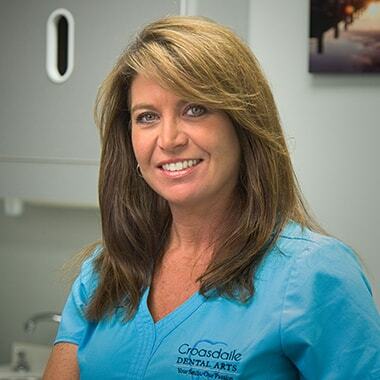 She has been with Croasdaile Dental Arts and working with our top family dentists in Durham since 1999. She is a native of Wisconsin and has continued her family tradition in the dental field. Mary has a wonderful personality that makes you feel at ease from the minute you meet her. She is able to communicate with patients of all walks of life, instilling the importance of good dental hygiene in correlation to their overall health. Alex graduated from the hygiene program at Wake Tech Community College in 2017. 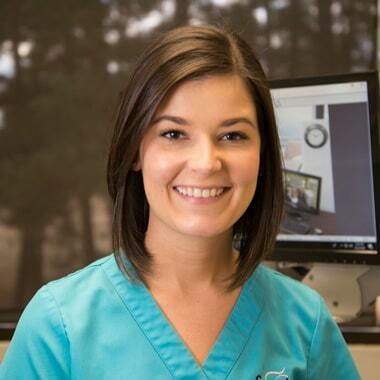 She joined our practice in September 2017 as the newest edition to our dental hygiene department. She has a long term relationship with our staff having been a patient in here since she was 6 years old! One of the things we love most is her enthusiastic personality. She is passionate about her role in our practice. Her goal is to build long lasting relationships with her patients and educate them about their oral health. She is from Hillsborough, NC and in her spare time enjoys going to the beach and spending time with her family and friends including her dog. Virgil graduated from UNC Chapel Hill in 2004 with a BA in Spanish. He then graduated from UNC Chapel Hill Dental Hygiene program in 2006. 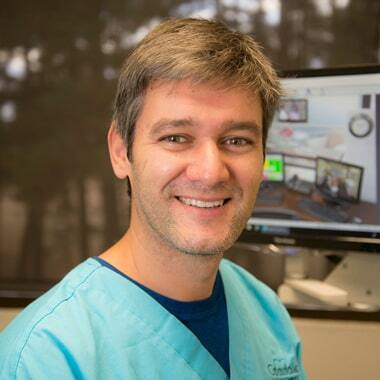 Before joining the Croasdaile Dental Arts team in September 2018, Virgil was employed full-time at a general practice for eight years and for five years he worked at numerous local dental practices as a per diem employee. Virgil is a native of Romania. In his spare time, he enjoys spending time his family, doing anything outdoors, snow skiing, and working on cars. He stays up-to-date professionally by attending local chapter meetings of NC Dental Hygiene Association. He is also a member of the CITA Dental Hygiene Board of Examiners and a volunteer with the North Carolina Dental Society’s Missions of Mercy program. Ryan graduated from UNC Chapel Hill’s Dental Hygiene program in 2015. After being licensed, she worked as a fill-in hygienist to experience many different areas of dentistry. Ryan joined our practice officially in January 2018. 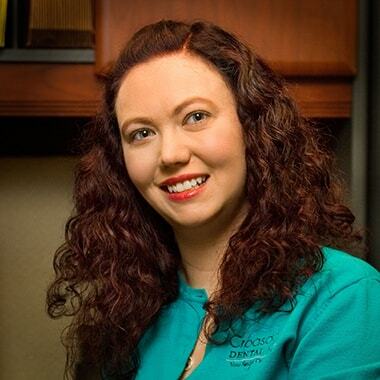 She is passionate about oral health and building lasting relationships with her patients. Outside of the office you’ll find her managing her family logging business and spending time with her three children and husband. They are a crucial component of our dental team and are here to assist our doctors and patients with a vast array of dental procedures. 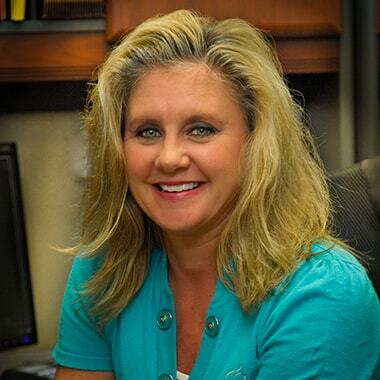 Dawn graduated in 1988 from Alamance Community College with a certification in Dental Assisting. 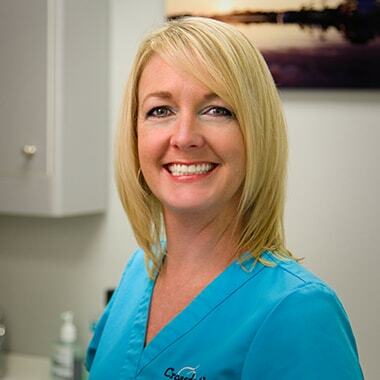 She has been working as a chairside assistant with our Durham family dentists since 1990. Outside the office, you can find her spending time with her two children. She enjoys reading, shopping, spending time with family and friends, and going to the beach. Kelly graduated from UNC School of Dentistry at Chapel Hill Dental Assisting Program in May 1987. 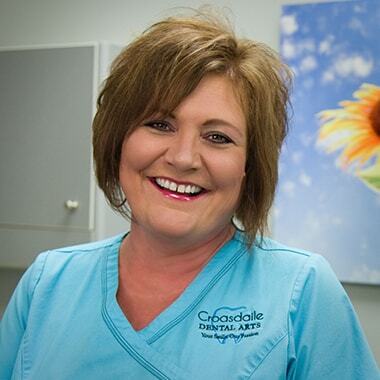 She has been with Croasdaile Dental Arts since 2004. She is an active member in the Durham Orange Dental Assistants Society. She is a Hillsborough native and resides in the area with her three children. She has taken a couple of breaks from the dental assisting profession during her twenty-year career in dentistry. However, her love for the profession always draws her back to dentistry. She truly enjoys what she does and it is apparent in the care and devotion she offers to our team and patients. 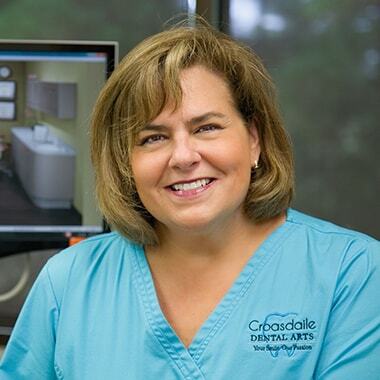 Kim A. graduated from Alamance Community College in 1993 with a certification in Dental Assisting and joined Croasdaile Dental Arts in 1996. She is married with two children. Kim has a very busy life between work and home but manages to take time for herself to enjoy her hobbies, including riding horses, and in the summer, spending time at the beach and fishing. Kim P. graduated in 1986 from the Dental Assisting Program at UNC School of Dentistry and is a Certified Dental Assistant (CDA II). She is an active member in the Durham Orange Dental Assistants Society and has held the positions of President and Secretary and has also held the position of Treasurer from 2005-2007. In addition, Kim also served on the UNC Board of Advisors for the UNC Dental Assisting Program 2000-2003, where she also held the position of President of the Alumni. 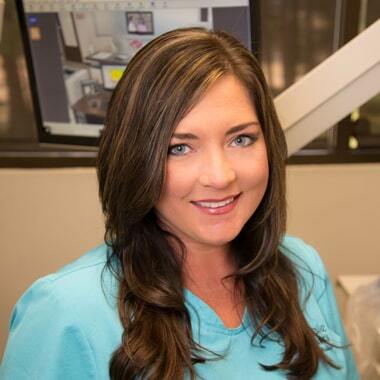 She has more than twenty years of dental assisting experience, knowledge, and expertise and continues to remain current with the trends in dentistry by attending continuing education courses. Kristy attended the Dental Assisting program at UNC in 2000. She had been in dentistry for many years before joining our practice in 2004. Kristy aspires to remain current with the trends in dentistry. In 2007, she attended an advanced course on dental implants. When she is not in the office, she spends time with her husband and two children. She enjoys traveling, skiing, and wakeboarding. 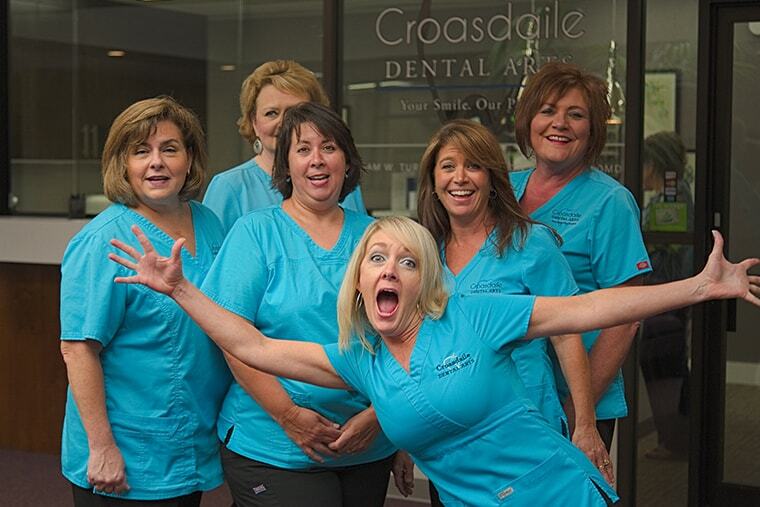 Rhonda joined Croasdaile Dental Arts in 1987. She received her certification in Dental Assisting in 1987 from Alamance Community College. In October 1987 she joined our practice. She is married with two children. In her spare time, she enjoys being near the water, fishing, and watching football. Ready for a Pleasant & Positive Dental Experience? Our dental team and Durham dentists look forward to meeting you.